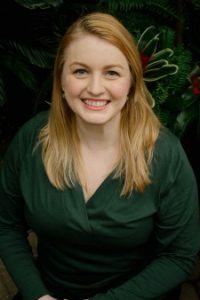 Rebecca Dyste Rawczak is a Licensed Independent Clinical Social Worker (LICSW) in Washington State with more than 10 years of experience working with children and adults in therapy. She graduated from Columbia University in New York with a Masters of Social Work in Advanced Clinical Practice. Most recently, Rebecca has worked in Mental Health at Seattle Children’s Hospital where she assesses safety and creates treatment and intervention plans for children, adults, and parents in emotional crisis. Prior to relocating to the Seattle Area, Rebecca spent 3 years working in a specialty clinic for trauma, grief, and loss in New York City where she treated patients struggling with PTSD and the aftermath of abuse or loss. To serve the needs of children struggling with PTSD, Rebecca trained with the creators of Trauma Focused Cognitive Behavioral Therapy (TF-CBT) a proven intervention to address PTSD in children and teens. She has also trained in the treatment of complicated grief at The Center for Complicated Grief at Columbia University, and has obtained additional training in Mindfulness and Self-Compassion, DBT skills, Cognitive Behavior Therapy for Anxiety Disorders and Depression, Motivational Interviewing, and Psychopharmacology. I have known Rebecca Rawczak for a year through peer supervision. I have been impressed by her compassion, caring nature and desire to help her clients meet their goals and feel better. She is a skilled therapist and insightful about what will work most effectively for her clients. She is also funny and supportive. I have and feel no reservation in continuing to refer clients to her. I have known Rebecca Rawczak as a colleague for several years. She is an exceptional therapist who brings genuine warmth, insight, and understanding into her work with clients. Her skill and knowledge of the mental health field stand out amongst our peers. She is truly as empathetic and caring as she is smart and perceptive. I have and will continue to recommend her to people as I know they will be in good hands. Rebecca is a caring therapist who has years of experience treating individuals with depression, anxiety, and other mental health issues. She is great at helping clients gain the skills that they need to overcome the struggles and obstacles that they experience. When I have referred clients to her in the past, I felt confident that she would attend to their clinical needs and help them accomplish their goals.